Mexican free-tailed bats are a common sight in the Lone Star State, but it is not often that one can encounter several hundred thousand of them at the same time. In fact, certain places in Texas feature millions of these flying mammals, and watching them has become somewhat of a hobby that is funneling tourist dollars into local economies. Several great locations exist where sighting these amazing creatures flying in masses, and these are three of the most popular. 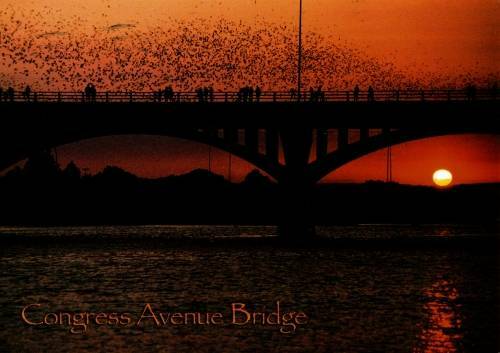 The most infamous bat viewing area sits in the state capital, just southeast of Inks Lake. A colony that is estimated to be a million and a half bats strong lives under the Congress Street Bridge, and it is thought to be the largest urban colony in the country. These creatures burst out from their shelter under the bridge around dusk each evening in the warmer months. 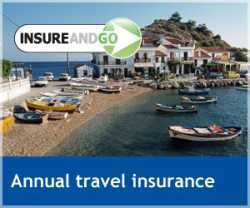 Keep in mind that this particular group of bats will migrate to Mexico for the winter season. Viewing them is so popular with locals and tourists, that there are informational tours, viewing platforms, and assigned parking available. Compared to other easily assessable viewing areas for bats, the colony that houses here is considerably smaller with an estimated quarter of a million population. What makes this group so special is that they are one of the only sizable bridge-residing colonies that live there year round. Just a decade ago, this phenomenon was relatively unknown, but with the drastic increase in the public’s interest in viewing the creature’s spectacular departure at dusk, the city built a viewing platform. Parking is organized, and a few local nature experts offer their services to visitors that desire an explanatory tour of the bats and the local area. Near the community of Rockspring, sits the third largest cave in Texas. The Devil’s Sinkhole Cavern reaches a stunning 360 feet into the ground, and it has become a well protected home for a large community of bats. The state’s Parks and Wildlife Department now enjoys operational control of the area, and tours to the cave are popular in the spring and summer with visitors. In addition to thousands of bats swarming out the cave, the surrounding area is quite amazing and is a great place to spend the afternoon before the flying creatures make their dusk appearance. These bats perform a vital function within the areas that they reside, and if they were to disappear, residents and farmers alike would certainly miss them. As foragers that travel distances up to 75 miles daily, a sizeable colony of Mexican free-tail bats can consume several tons of bugs every evening. That’s quite a load considering that these creatures are only slightly larger than hummingbirds, but Texans appreciate their contribution to balancing the insect population. Tracey is an avid traveler and editor for the Burnet County Tourism Office which promotes tourism in The Highland Lakes of Texas.